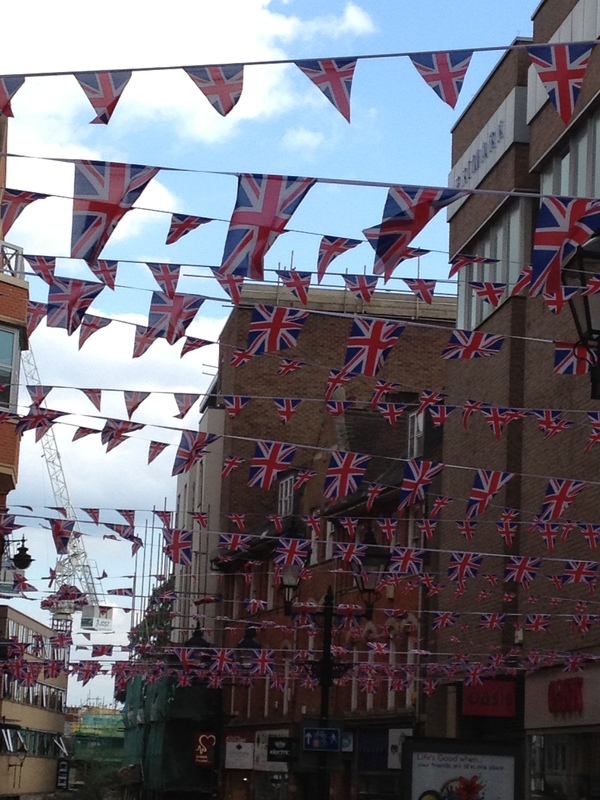 The Queen’s Diamond Jubilee (60 years! What a woman!) and London 2012 Olympic Games are rushing towards us now. Currently the torch is travelling around the country, being passed from hand to hand. This morning I’ve heard that it’s in Wiltshire, and was being carried part of the way by a woman who has raised a lot of money for charity. It’s really good that non-celebs/sports-people are having a turn and are honoured for their service to the community or whose talents are recognised. This is a road in Oxford in case you’re wondering. And, the next one made me smile! 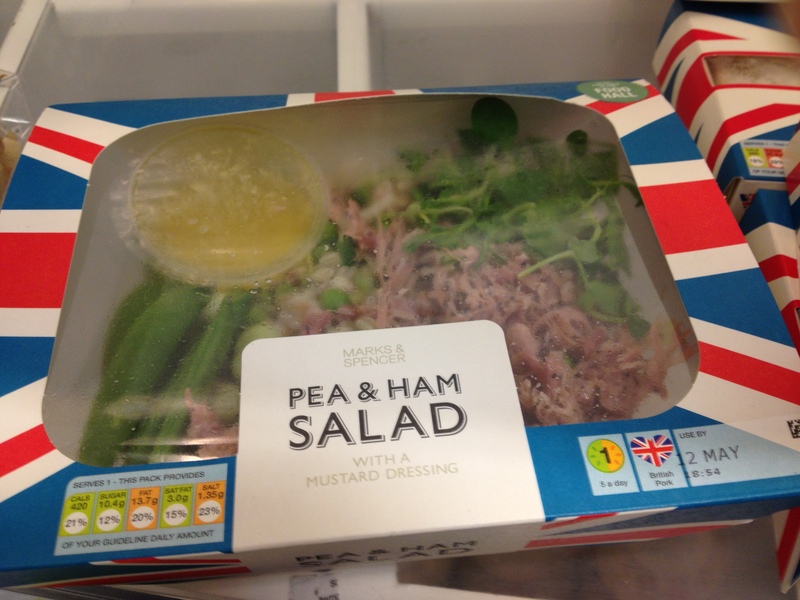 Creative display methods reflecting the times eh? 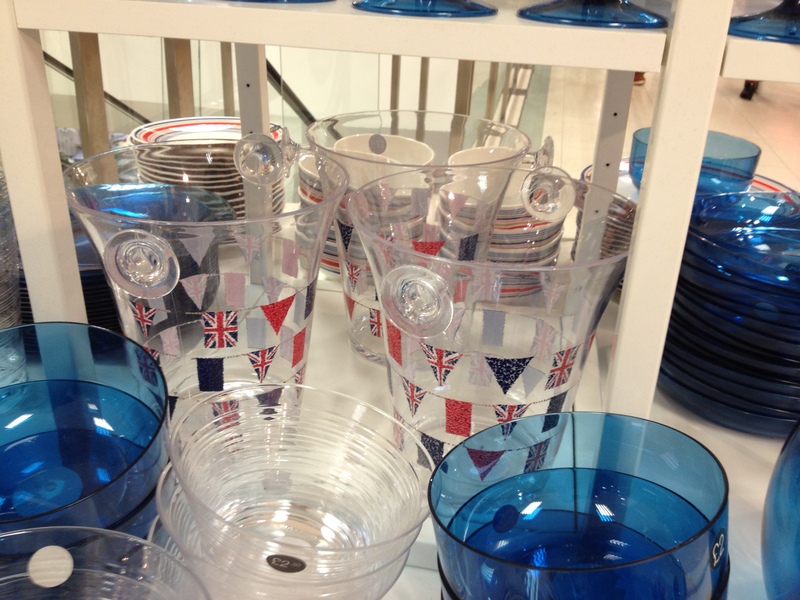 So the shops are getting well on board, selling anything and everything red, white and blue. 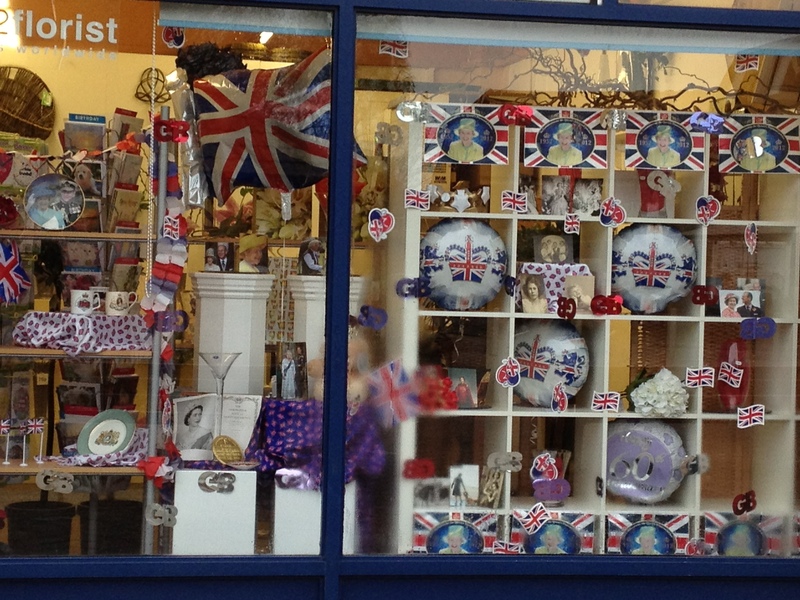 With a fair few Jubilee biscuit tins etc. Good for them! I like to see it. On another track, I walked (a 3.3m round trip – loving Endomondo sports tracker!) 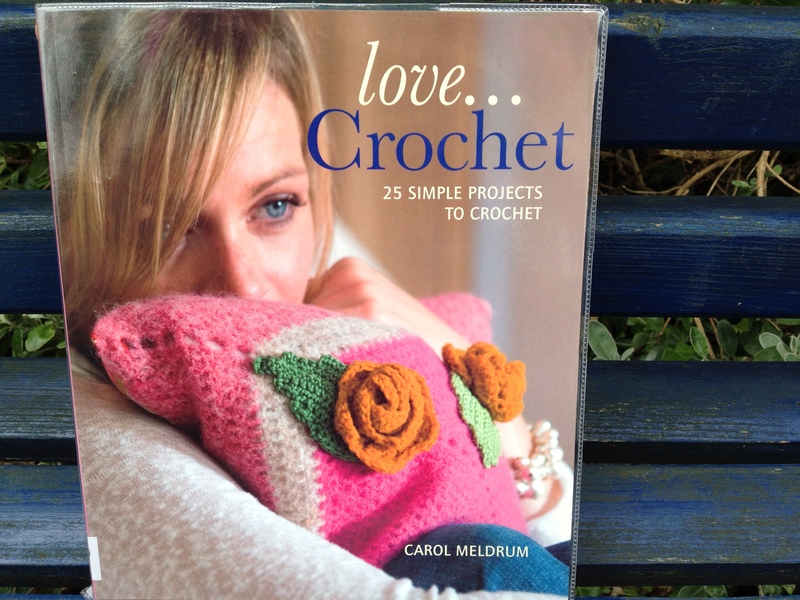 to a library on Monday and discovered they have a host of craft books on all sorts of the topics including: quilting, patchwork, jewellery, knitting, cake decorating….and crochet…a reallllly good selection of crochet books. So I grabbed five randomly and took them outside to sit in the sun (yes! we have sun now…hurrah!!!!!) in the quite beautiful library garden. Next time I go maybe I’ll take some photos, it’s full of clever planting, with benches placed at intervals in the quiet corners behind plants, trees and sculptures. The benches are painted a lovely blue, you can see the colour behind the books in the photos, which really works with the setting. 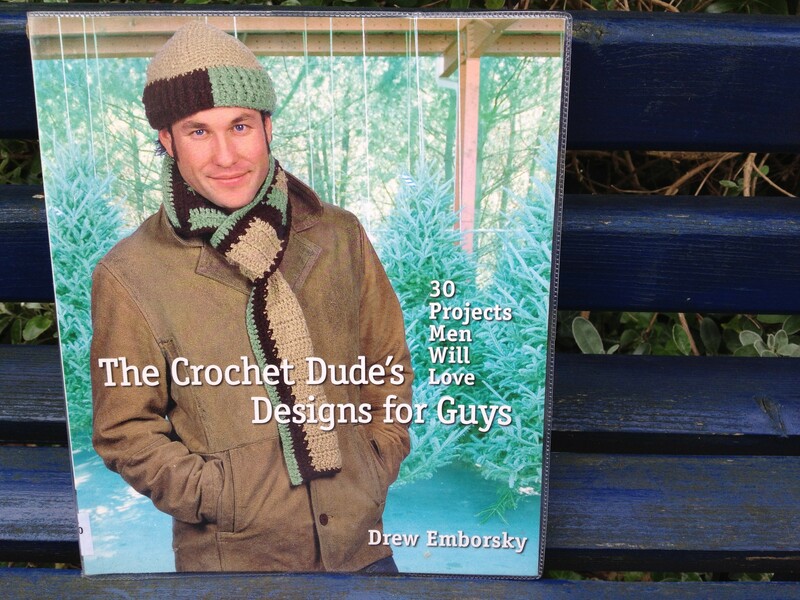 The Dudes book has some very nice jumpers in it with a variety of sizes. I ‘might’ have a try at something wearable later in the year. And no; I’m not ‘a dude’ but I did like the look of the solid, chunky clothes unlike lots of crocheted items for women which are often all holey and not really flattering to actually wear. Unless you’re a willowy model IMHO. The male models are pretty yummy too in this book – some of them – so that’s definitely a recommmeded ‘book to browse’ from me! I made some notes on which patterns I liked in the books as I went, so I can go back and borrow a few at some point. There are even more to go and peruse some other time too. I’m off to walk around the grounds of a Palace now, will post some pics soon. Your photos are beautiful and make me want to be in England – I was there for the wedding last year and it seems as if the atmosphere is similar. 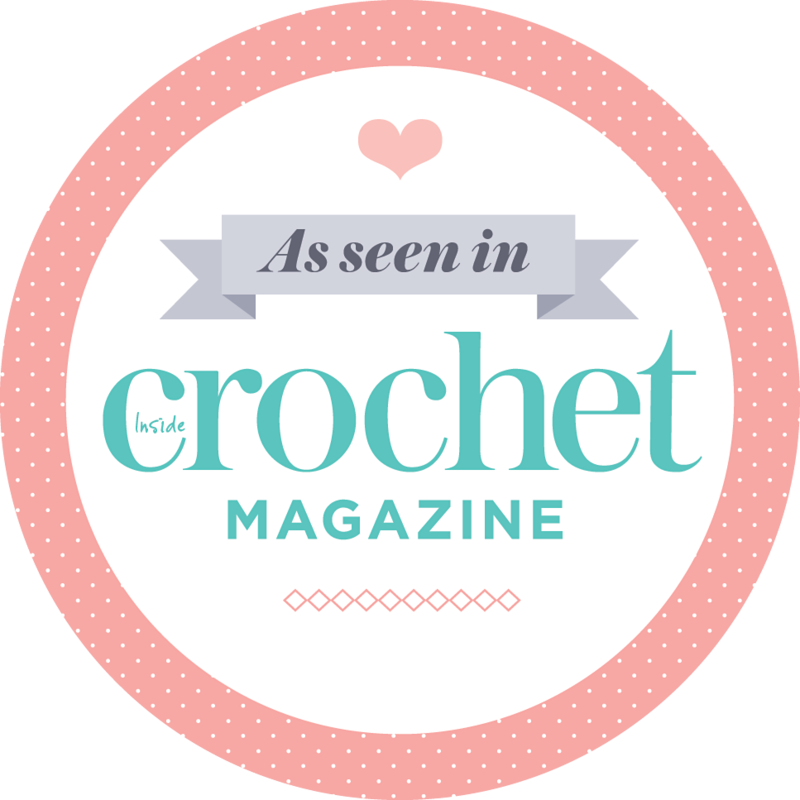 I have been on the look out for a flattering crocheted cardigan for months now and agree that all the women’s patterns are holey and will not be flattering on me. I’m 6″2′ and NOT skinny. If you find a pattern you like, I hope that you share it! Loving the bra display lol! 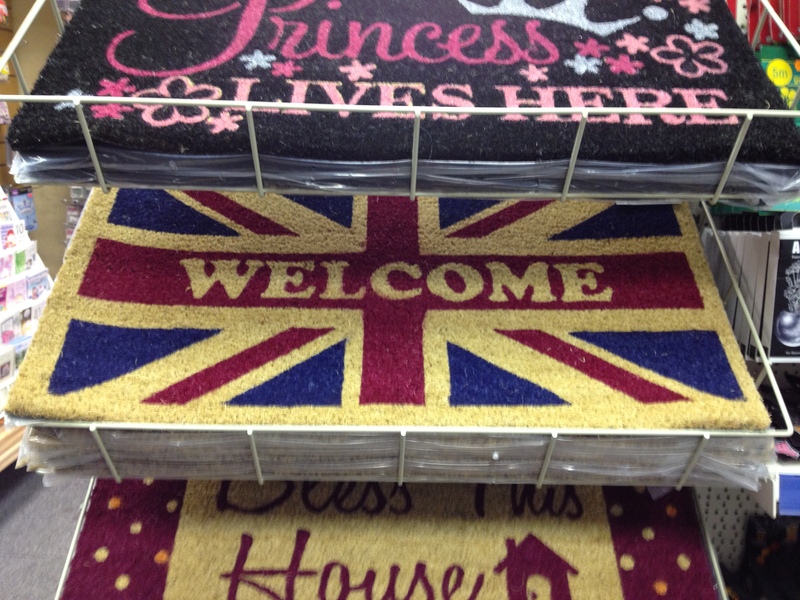 But all the union jacks are driving me nuts now. It all gets a bit OTT. Your library sounds brilliant. 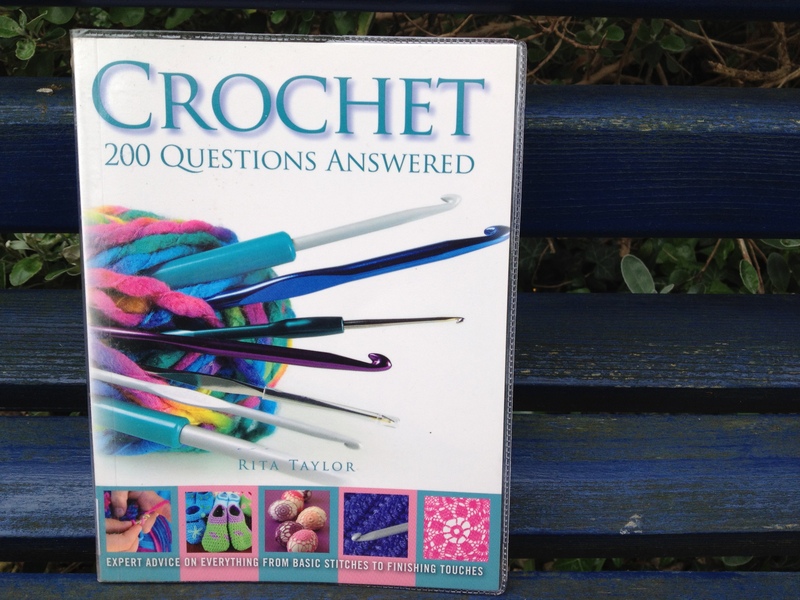 I always used to get lots of non-fiction books from the library, cookery, crochet, gardening, but my local library has a bit of a rubbish selection, especially of crochet books. Shame. Having lots of boys in the house the Dudes one looks good. Perhaps I can get them to get it in for me?? 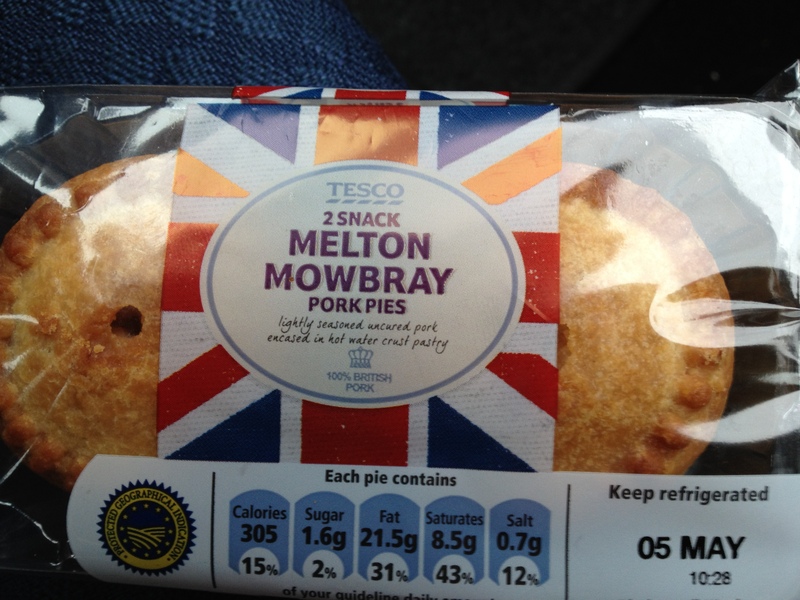 They’ll be down soon enough, I’m really enjoying the celebration of being British. Love it! Hi I love your red white and blue photos especially the bras lol! I’m waiting to receive a batch of red, white and blue wool (!! 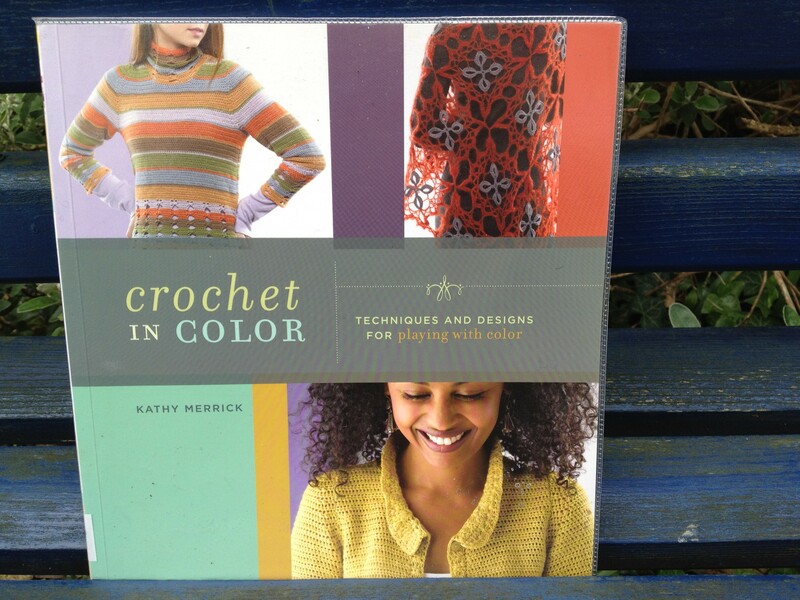 – i’m calling it wool and not yarn as it’s 55% wool – can we get away with that?) 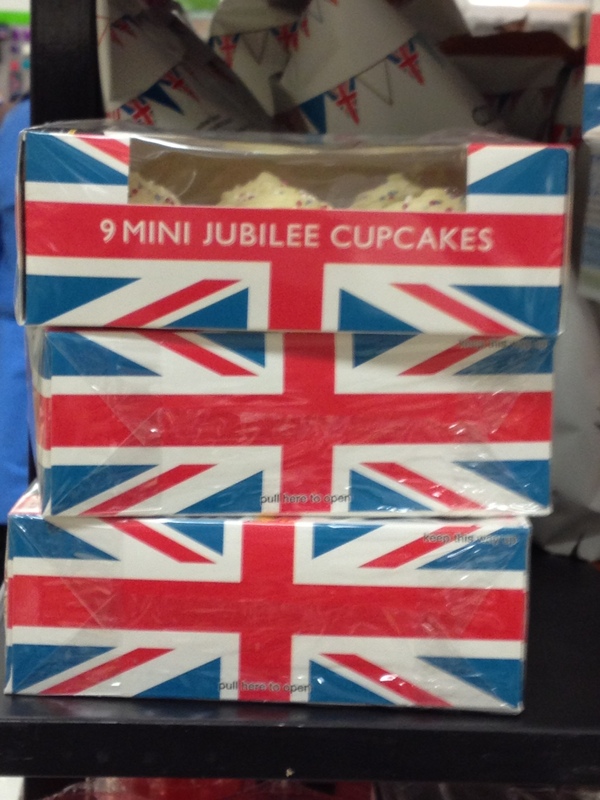 to crochet a Jubilee cushion (still waiting…. sigh)…. 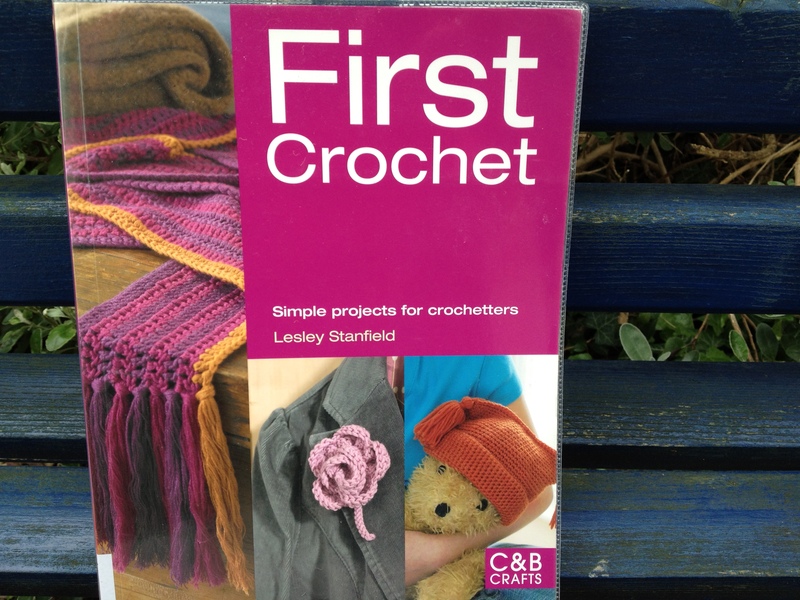 And I have the ‘First Crochet’ book in my bag right now, have just finished the baby hat that’s on the front cover… would love it if our library had an outdoor space like yours has as it’s where we go for Knit and Natter… and good luck in the blog award! It’s getting very exciting here in england! I love it. I just posted about the Robinson’s Fuit Squash, Limited Edition for the jubilee ….. Stawberrys and cream – its be best quash I’ve ever had. Love the bra’s as well!!! It has a really festive feeling….fun! I just love all the festivities!!! I have never been to England. I’m from Brazil and live in he US, but my dream is to visit Europe and would love to see all the yarn shops there in England. The bras are quiet cute!! !